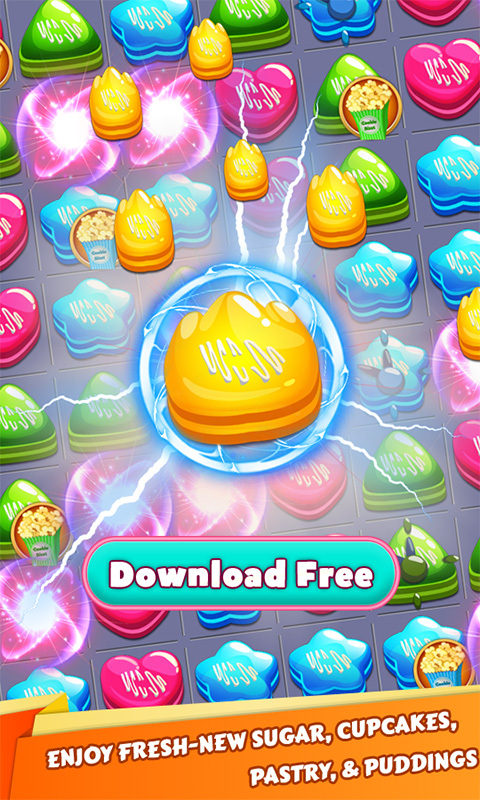 Cookie Blast - Delicious matching puzzle game with addictive gameplay! Just tap to match connected sweet cookies to remove them! Enjoy fresh-new sugar, cupcakes, pastry, & puddings during the game. 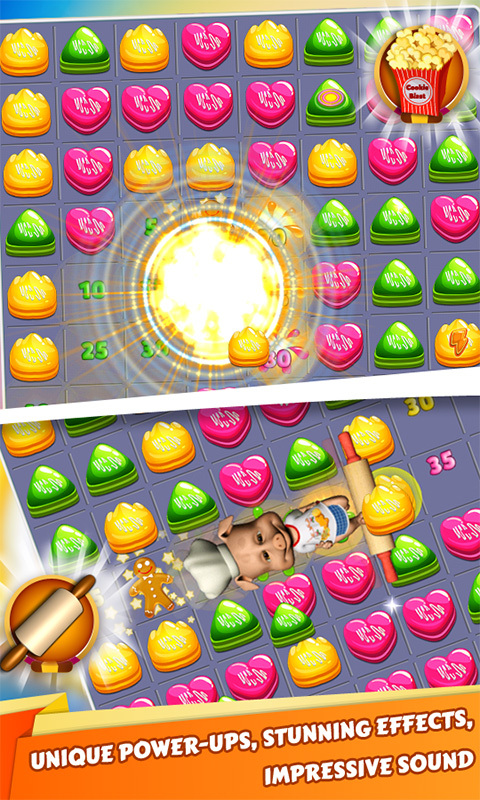 Cookie Blast surely bring to you tons of exciting & sweet moment! You have the change to develop a lightning-fast reaction time. It's the ultimate 120-second matching as many sweet cookies as you can in Action mode. 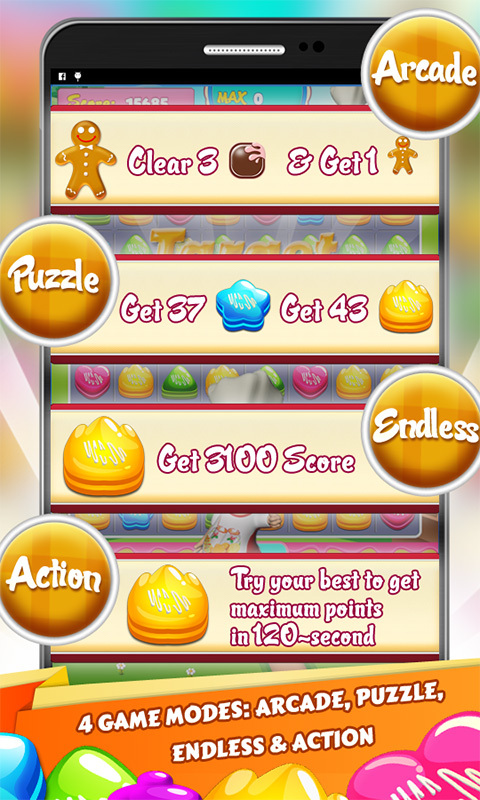 Clear all jelly backplane then move Cookie Man to bottom in Arcade mode. In Endless mode try to get target score & pass challenging levels before time over. 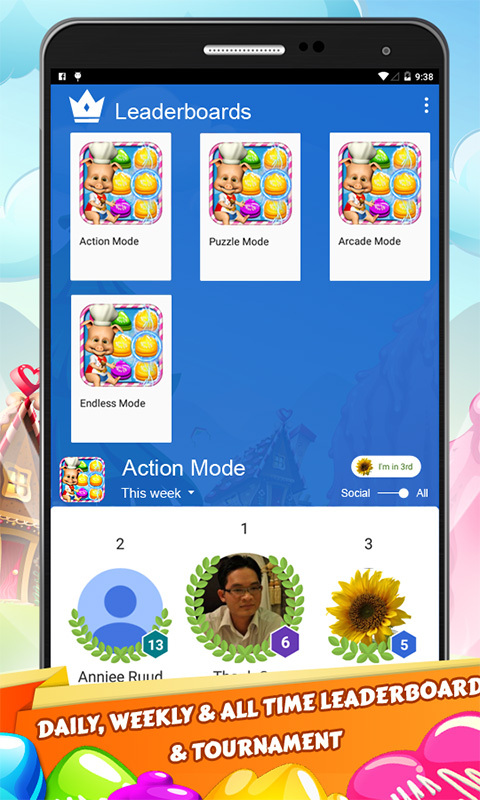 Collect magic boosters to get high scores & pass the level quickly. 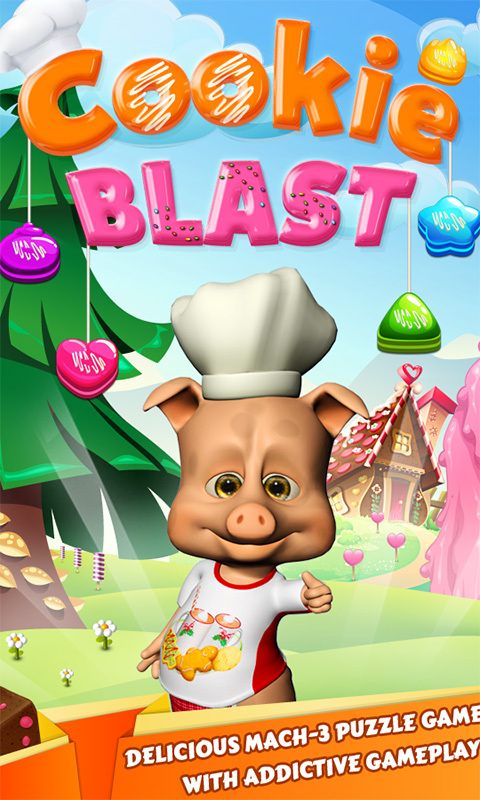 Play Cookie Blast with your Facebook's friends & try your best to get best rank in Leaderboard! 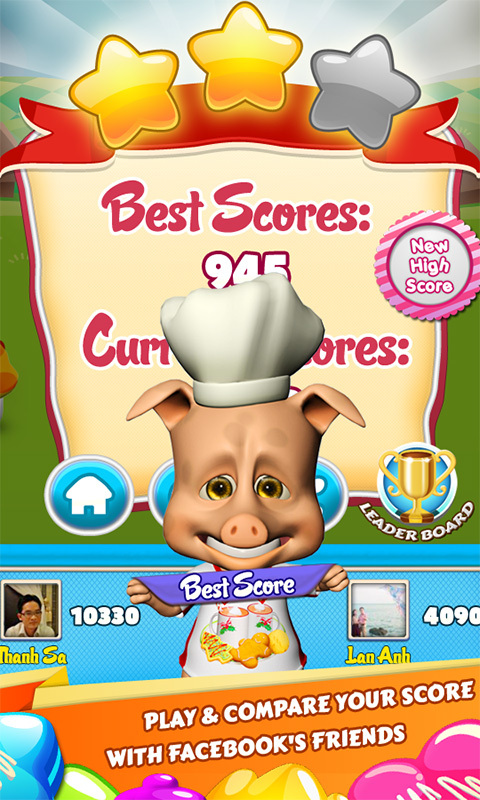 Are you ready for the journey on cookie world with our character - the cute Pig Chef ! ?